Mountain fruits falls out there in the rain. and here in lamplight, field crickets sing. might as well try conjuring yellow gold. There’s only one way: study unborn life. Alone at night, sitting in an empty hall, the great Chinese poet of Tang Dynasty (701-761) reflects on his state of isolation in the darkness of night, and on his aging marked by the universal, unavoidable life change-black hair turning white. As the temporal emptiness progresses towards the darkest part of the night (In Chinese, the second watch is 9-11 PM) , the poet can sense the decline of his life, He is conscious that what awaits him is death. Ageing, the cycle of life, are inevitable and irreversible; his white hair will never again turn black, just as gold cannot be created, and no elixir will bring back his youth. He has to submit to the ‘law of nature’. This ‘naturalness’ of the cycle of life is heard through the thud of autumn fruit falling from the tree in the silence of the night in the rain, and through the wailing of the crickets under lamp, whose imminent death approaches with every passage of time. The outdoors and indoors become a continuum that surrounds and forms a dynamic contrast with the sitting poet. Unlike Wang, neither the grasshopper nor the tree nor the fallen fruit are concerned with their own mortality. The grasshopper doesn’t have the time or intelligence to question if it will live through the fall and winter and thus can chirp happily as it moves ever closer to death. Man’s intelligence has lengthened and improved his life, but has also made more evident that our mortality is always beyond our control. 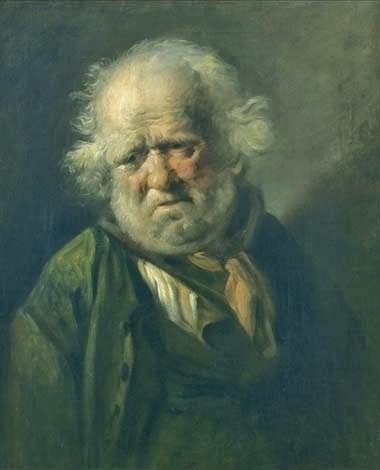 The fifth and sixth lines connect man’s inability to reverse the aging process with the inability to perform alchemy; it simply cannot be done. Rather than being depressed by the inevitable passage of time, Wang Wei asks people to triumph over time’s tyranny. The last line of the poem provides the Buddhist solution to the irreversible process of aging; the only way to triumph over aging and death is to learn and reach non-rebirth. The poem presents the mood of reflectiveness that accompanies old age - one has all the time in the world to ponder over mistakes - and none of it can be undone. And just when we are filled with despair at the thought, the poet brings in a Buddhist world view and provides a much needed relief. Thank you for sharing! It was a beautiful read! I will remember to bookmark your blog and definitely will come back in the future. of those studying the important recommendations found on this blog. providing me the chance to pursue this chosen profession path.